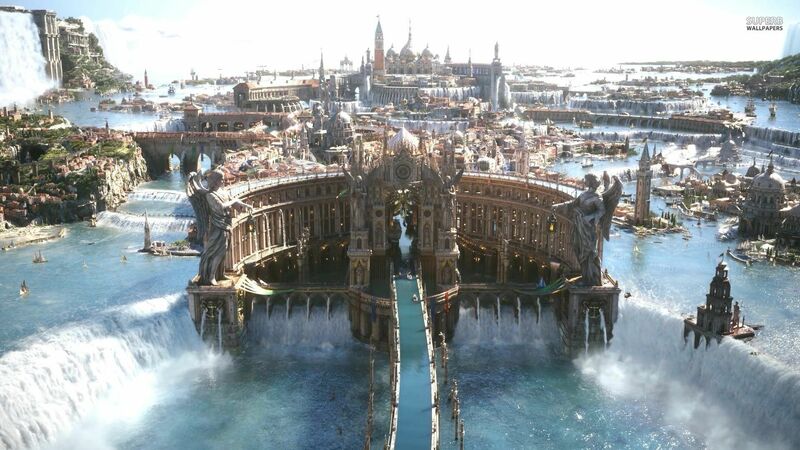 Final Fantasy XV will offer online multiplayer in the form of co-op after its launch, Square Enix announced today as part of its Paris Games Week event. There isn't much to go on yet regarding how online play will work, butit sounds like the mode is only available through Final Fantasy XV's DLC pass, which costs $25. Square Enix also reiterated today that three expansion packs that focus on Gladiolus, Ignis, and Prompto are on the way. Additionally, these characters, who fight alongside Noctis in the campaign, will be playable in the online co-op mode. Up to four players can take part. "The main focus of the season pass is three original episodes that take place during the events of Final Fantasy XV," Square Enix said in a press release. "Each episode allows players to take control of one of Noctis' comrades in all-new adventures that offer unique play styles tailored to each character. Players can explore previously unseen areas filled with new monsters, and even obtain weapons that can later be used in the main game." Episode Gladiolus comes out first, followed by Episode Ignis and then Episode Prompto. These expansions will be available to buy individually as well. The expansion that adds online co-op is called "Comrades" and as stated, it will allow up to four players to battle together as Noctis, Gladiolus, Prompto, and Ignis as a group." Comrades will be available through the Final Fantasy XV season pass and by itself. Square Enix did not share pricing details for any Final Fantasy individual DLC, though the pass itself goes for $25. The confirmation of online co-op for Final Fantasy XV today comes after Square Enix teased that an expansion pack for the game would allow you to play in a "completely new way." Online co-op appears to be that new mode of play. Square Enix also said today that Final Fantasy XV has "gone gold," meaning that development on the base game is finished. This is a particularly noteworthy achievement, considering the game has been in development in one form or another for over a decade. Final Fantasy XV comes out on November 29 for PlayStation 4 and Xbox One.